Knowing the wind speed is not only useful - it's informative, it's accurate, and it's fun. 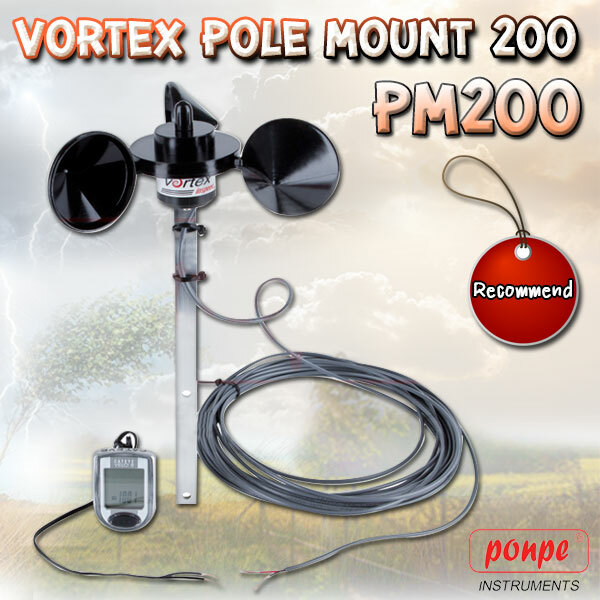 The Vortex Pole Mount Anemometer is an inexpensive way to provide you with accurate wind speed in places where AC power may not be available. Mount the head and rotor to your own pole or roof bracket, bring the wire in through a window or some other hole, and stick the display on the glass, a window, or anywhere you want. Connect the red & black wires and Voila!The Vortex Pole Mount Anemometer display is a high quality, Cateye Velo8 bicycle computer (please note!) . Speed range is approx. 5 to around 150 mph, although the calibration has only been verified from 5 to 50 - we did not find a wind tunnel with 150 mph calibration facilities! 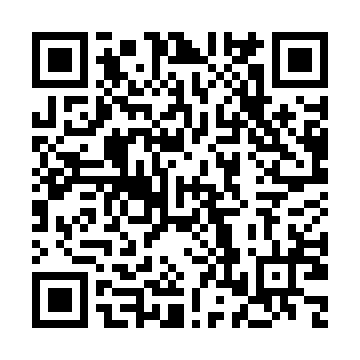 Check out the wind sensor specifications for details. Battery life is around 1,000 hours of continuous use. Some we have tested on our home lasted for well over a year on the original batteries! 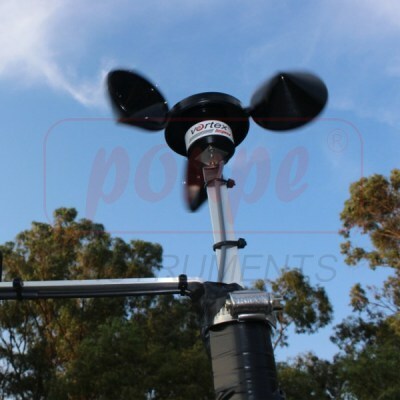 SENSOR TYPE Anemometer utilizes a 3-Cup rotor.Reed switch/magnet provide 1 pulse per rotation. A further note on accuracyWe sent an original Vortex anemometer to a certified lab to check its accuracy. The results are shown in the graph below. It can be seen that the Vortex anemometer is within a few percent from about 10 to about 50 mph. From 5 to 10 the readout is the limiting factor, with a resolution of 0.5 mph. Above 50 mph the anemometer still works fine, although we do not have accuracy data in that region. Nevertheless, we believe it to be quite accurate to speeds well over 100 mph. Maximum SpeedThe maximum wind speed that can be measured by a Vortex anemometer is over 150 mph (~240 kph). See note below on accuracy.Minimum Speed Approx. 3 to 4 mph (~6 kph)Accuracy:+/-4% from ~10 to ~50 mph +/- a few tenths of a mph from ~4 to ~10 mphThe accuracy above 50 mph is presumed to be excellent (based on data from the rotor manufacturer), but no precise laboratory calibration has been obtained. 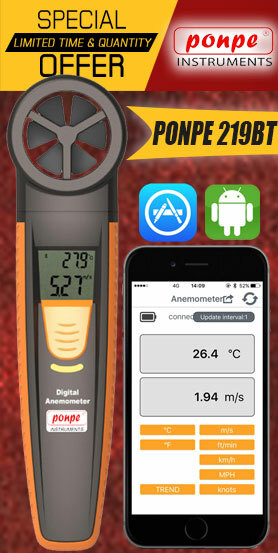 The Vortex™ anemometer is NOT sensitive to how it is held in the wind, provided the head is held horizontal and the air flow is not obstructed by the user (i.e. you do not have to face into the wind). IMPORTANT NOTE ABOUT AVERAGE WIND SPEED: Since bicyclists do not want their average speed to be diminished when they come to a stop, the computer will only record and average when the wind is blowing. It stops recording below approximately 1 mph. That means that if the wind blows for 2 hours at 20 mph and 2 hours at zero, the average shown will be 20, not 10! Please keep this in mind for your desired use of the Vortex anemometer. WORKAROUND : if you want to know the real average wind speed - even with spells near zero, do the following: reset the computer, note the time. When desired, simply divide the total number of wind "miles" on the display by the number of hours since reset.